Rinpoche was born on the 12th day of the 1st Tibetan month of the year 1962 in the small Himalayan village of Tsakha in the Dolpo region of northwest Nepal. Many years ago, the Dolpo region was a part of the Zhang-Zhung kingdom. In the Dolpo region we can still find the culture and language of Zhang-Zhung. There is a small Bonpo Monastery in his village called Tarzong Phuntsok Ling Bonpo Monastery. It was the only place where people can study traditional education as well as the Tibetan language. Yangton Lama is the abbot of Tarzong Phuntsok Ling Bonpo monastery. This monastery is one of the most precious and secret monasteries for the lineage of Yangton lamas. Lopon Rinpoche is a member of the famous lineage of Yangton lamas. The Yangton lineage goes back to the time of Buddha Tönpa Shenrab over 18,000 years ago. Yangton lamas were the priests for the ancient kings of Tibet. Yang n’gal Tsec Cho was the priest for Nyatri Tsenpo, the 1st king of Tibet. 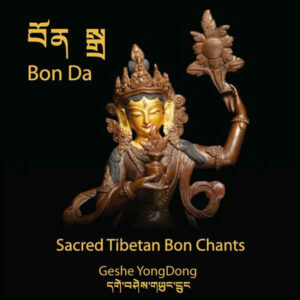 The Yangton Lama Yang n’gal, who was the priest of the Tibetan King Pude Gungyal, established the first Yangton Monastery at Bonri in the Kongpo region of Tibet. The Yangton lineage originated after the great practitioner Yangton Sherab Gyaltsen became famous for the perfection of his understanding and excellence in Sutra, Tantra and Dzogchen Teachings. Through his studies he compiled the essence of Dzogchen teaching and created the first written manuscript of the Dzogchen Experiential Transmission (Nyam-Gyud) teaching. In 1107 AD he became the single Transmission holder of Dzogchen teaching. At the age of 13 and on the advice from his uncle Yangton Lama Nyima Tseten, Lopon Rinpoche went into a series of 3 months retreats during 1975, 1976 and 1977. During this time he focused on the practices for the outer, inner and secret Deities of Bön. 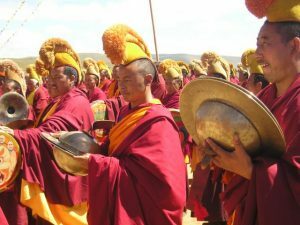 During these retreats Rinpoche completed the foundation practices of Dzogchen by accumulating nine hundred thousand preliminary practices. He also received various Transmissions and Empowerments of Dzogchen teachings from a variety of different masters. In 1979, Lopon Rinpoche’s brother, Lama Tashi, brought Rinpoche to sMenri Monastery in India. sMenri Monastery is the main Bonpo monastery for Tibet as well as for the exile community of India. Rinpoche was ordained by H.H. the 33rd sMenri Trizin and H.E. Yongzin Rinpoche. His studies focused on Sutra, Tanta and Dzogchen as well as Ritual, Grammar, Poetry, Astrology, Divination, Medicine, Thangka painting, Mandalas and Stupas. Lopon obtained his Geshe Degree (Doctorate) from the Bön Dialectic School in 1989. Soon after completing his Geshe Degree, Rinpoche was unanimously appointed Principle Instructor of the Bön Dialectic School by H.H. the 33rd Mentri Trizin and H.E. Yongzin Rinpoche. Again in 1992, His Holiness and Yongzin Rinpoche further honored Rinpoche by giving him the title of Ponlob. It is the second most revered position in sMenri Monastery. Lopon Rinpoche continues to teach at the Bön Dialectic School where he is responsible for the training of the students. He occasionally visits the Dolpo region of Nepal to give the Transmission of Preliminary Practice and teach other aspects of the Bön Religion to thousands of lay people, monks and Tantric practitioners. Rinpoche regularly visits the United States and Europe where he enjoys teaching the elements of Sutra, Tantra and Dzogchen to western practitioners. 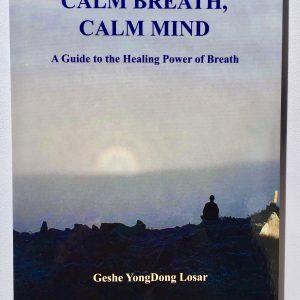 In 2009 he founded the Bön Center Khyungdzong Wodsel Ling in Los Angeles, in the United States.